Location: Wesley Community Center, 1410 Lee St. In the Jewish tradition, mitzvah involves doing a good deed. 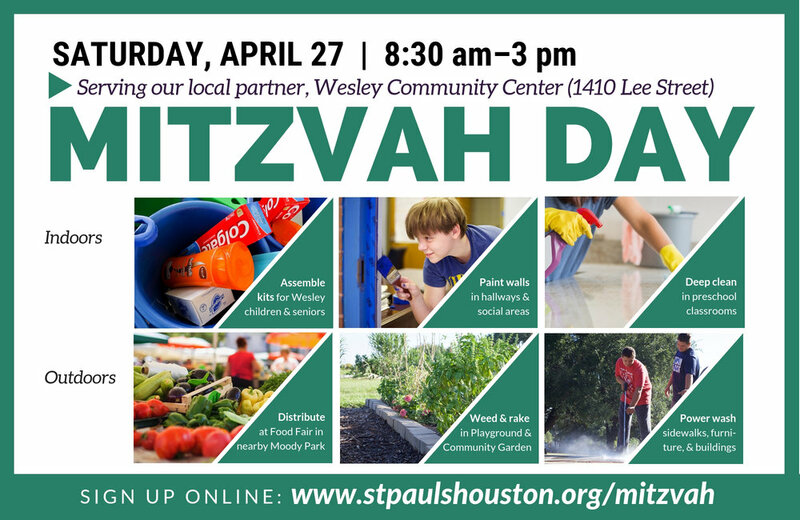 This churchwide serving day will benefit Wesley Community Center, one of our partner organizations. Wesley has been serving the Northside community since 1904 providing early education, programs for children and youth, employment and financial services, a community garden and food co-op, and programming and social services for seniors. Various mission projects will be available for people of all ages. There will be projects ideal for families with small children, but childcare will be provided for those who need it.